Renewit Cleaning & Restoration is a leading provider of disaster restoration and cleaning services for homes and businesses in Buffalo, NY and the surrounding area. We are a family owned and operated business that has been providing services since 2007 and our technicians are highly trained and IICRC certified to provide quality restoration services for any disaster in commercial and residential settings. We are dedicated to meeting your needs with our restoration and cleaning services and we are available 24 hours a day to provide emergency restoration services. The main services provided by Renewit Cleaning & Restoration include water damage restoration, fire damage restoration, smoke damage restoration, flood and sewage cleanup, mold remediation, carpet cleaning, upholstery cleaning, storm damage restoration, and construction services. We can completely clean and restore your home or building with effective anti-microbial applications, sanitizing agents, and deodorization and we use the best drying equipment of the industry to fully remove excess water and moisture. We respond quickly with disaster restoration services to stop the spread of the damage and we can assist with filing claims with your insurance provider. You can call us 24 hours a day at (585) 643-6222 for disaster restoration or cleaning services in Buffalo, NY. There are so many ways that excess water can get into your home and once the damage begins, it needs to be stopped immediately because it can spread through porous building materials to cause even more extensive damage. 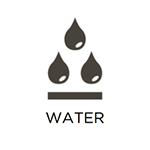 Water can get absorbed into building materials, furnishings and carpeting where it can cause staining and other damage and create conditions that lead to mold growth. Renewit Cleaning & Restoration provides water damage restoration services to remove excess water from homes and buildings in Buffalo, NY. Our Dri-Eaz technique is effective for drying the structural elements and furnishings in your home and we will also disinfect the area and provide deodorization services if necessary. 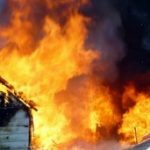 Fires are among the most dangerous disasters that can happen in a home or building and the spread of the damage does not stop when the fire is out. 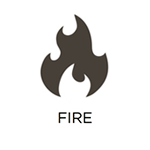 Soot and corrosive byproducts are commonly found after the fire is out and they can spread to unaffected areas of the home or building and cause damage that becomes permanent with time. As soon as the fire is extinguished, call Renewit Cleaning & Restoration for fire damage restoration services in Buffalo, NY. We respond quickly to limit the spread of additional damage after the fire and we will repair or restore your home or building using the best cleaning products and equipment available. In a fire, the smoke is often responsible for the most damage because it travels beyond the areas affected by the fire and leaves behind soot and an oily residue. The soot from the smoke will continue to spread long after the fire is out and cause tarnishing and etching that requires immediate cleanup to prevent permanent damage. Renewit Cleaning & Restoration provides smoke damage restoration services to clean up the damage caused by smoke in homes and buildings in Buffalo, NY. Our cleaning agents can effectively remove soot damage from a range of delicate surfaces and we can also remove lingering odors from the smoke. Significant flooding in a home or building is an emergency situation that requires immediate attention to remove the water before it causes widespread damage. There is also a good possibility that the flood water is mixed with sewage that contains human waste, bacteria, and other microorganisms that are harmful to your health. Renewit Cleaning & Restoration provides flood and sewage cleaning services to safely remove flood and sewage water from homes and business in Buffalo, NY. 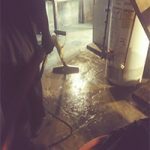 Our technicians remove the water with advanced drying equipment and we can also disinfect the area to eliminate the risk of negative health effects. Mold can start growing any time the spores find an environment with a moisture source and food source and it is difficult to remove once it has appeared. 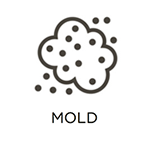 Ignoring mold growth will only cause it to spread further in the home or building which will result in more damage and increase the risk of related health effects such as allergies or respiratory issues. Renewit Cleaning & Restoration provides mold remediation services to clean up and remove mold from your home or building in Buffalo, NY. Our technicians will keep the mold growth contained to prevent the contamination from spreading and take actions to prevent the mold from returning after it has been removed. The appearance of your carpet makes a big impact on the overall look of a room or office so when it becomes worn out or discolored from dirt, it can bring down the look of the entire room. The carpet in most settings gathers dirt and debris in the fibers from consistent foot traffic and the buildup of this debris can contribute to discoloration and deterioration of the fibers as well as poor indoor air quality. Renewit Cleaning & Restoration provides carpet cleaning services to thoroughly clean all types of carpeting for homes and businesses in Buffalo, NY. Our advanced cleaning equipment can effectively remove deeply embedded debris from all carpet types and we also have the right cleaning products to remove odors and stains. Much of the furniture in a home or building is used on a daily basis and the direct contact it experiences causes dirt and debris to gather in the upholstery fabric. Over time this debris will cause discoloration in the upholstery and direct contact can make the debris abrasive against the surface, causing the upholstery to deteriorate. Renewit Cleaning & Restoration provides upholstery cleaning services in Buffalo, NY to deep clean and restore furniture in commercial and residential settings. Our state-of-the-art cleaning equipment and products can effectively remove debris and stains from upholstery fabric for an improved appearance. A major storm is likely to happen any time in the Buffalo, NY area and if a storm causes damage to your property, it is important to react immediately. 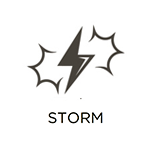 Storms such as floods, blizzards, thunderstorms, and strong winds have the potential to cause major damage that requires immediate stabilization and repair. Renewit Cleaning & Restoration provides storm damage restoration services to help repair and restore homes and businesses in Buffalo, NY that have sustained damage from a storm. We will immediately stabilize the building to prevent further damage and get your home rebuilt to its previous condition. When a major disaster has caused severe damage to a home or building, it takes much more than cleaning and restoration to get your home back to its previous condition. Storms, fires, and accidents can cause structural damage that can leave a home or building unstable and if the building is not stabilized and rebuilt fast enough, that damage can become worse. Renewit Cleaning & Restoration provides construction services in Buffalo, NY to stabilize and rebuild homes and buildings that have been severely damaged. 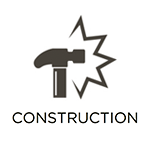 We have the equipment and experience to fully rebuild your home or building and manage the construction project from start to finish. The Buffalo, NY area is notorious for having very cold winters. With these temperatures comes the possibility of having frozen pipes in your home or building. When the water in a pipe becomes frozen, the ice gradually builds up as more water passes through and becomes frozen. 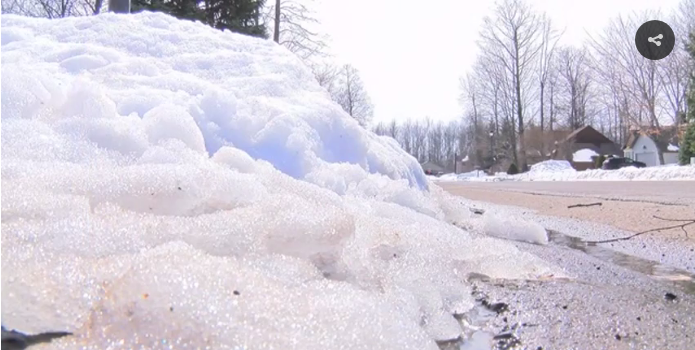 The growing chunk of ice will restrict water flow and eventually cause the pipe to burst under the pressure. Burst pipes have been known to cause hundreds of gallons of water to spill out into the building, leading to serious water damage. 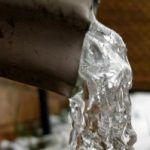 Renewit Cleaning & Restoration provides frozen pipe restoration services to clean up the water damage caused by burst pipes in Buffalo, NY. Our technicians will remove the water and moisture from the affected areas using advanced equipment and we can also restore the damage to your property.